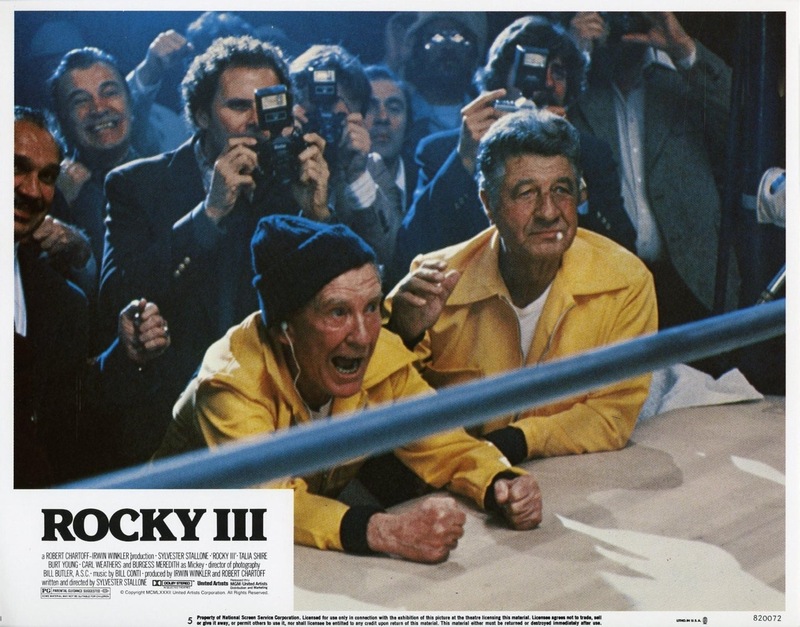 Released in 1982 Rocky III took the series in a new direction. The first two were gritty and raw looking films, but this one was a lot more stylized and very much more Hollywood. 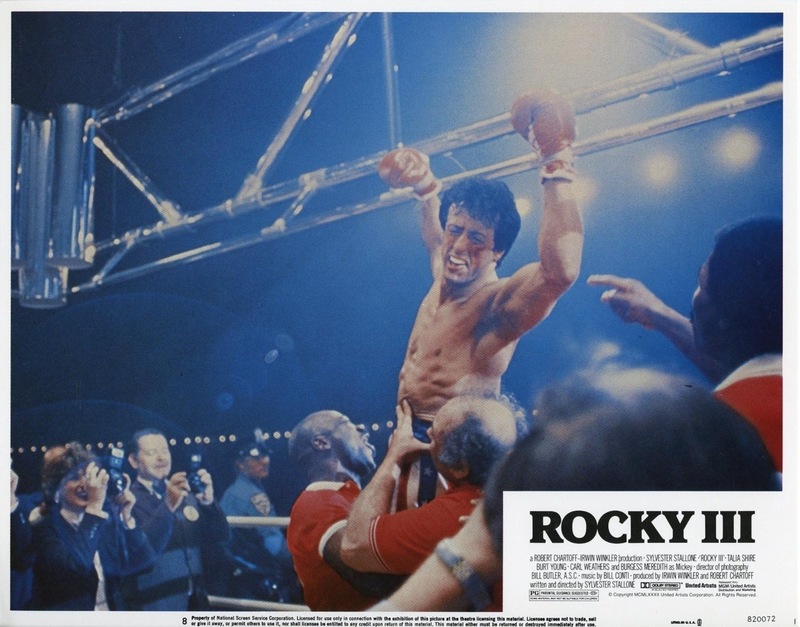 As popular as the first two were this film pushed Rocky into pop culture icon and became the highest grossing of the series (until Rocky IV passed it in 1985). 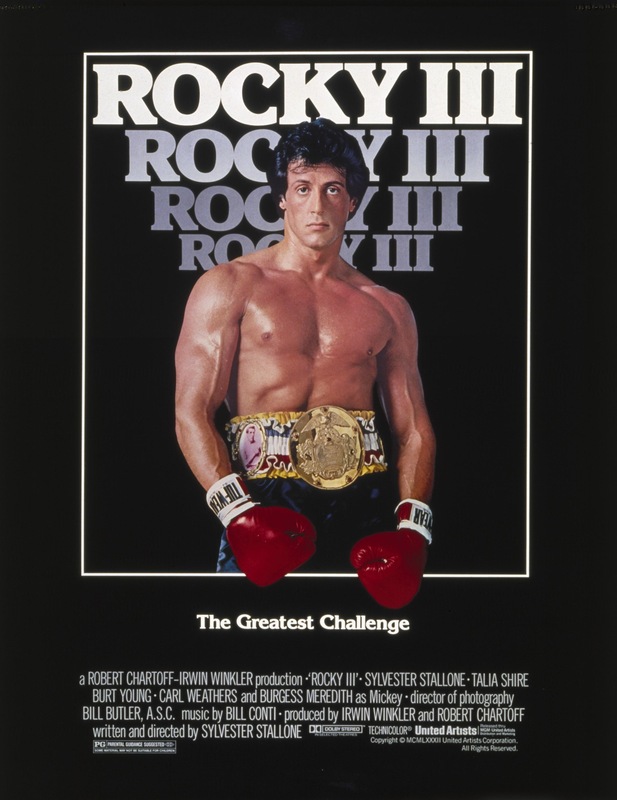 Rocky III is a fan favorite among fans of the series and while I do enjoy the film its also in my opinion the weakest of the series, but even a weaker Rocky film still provides plenty of entertainment. 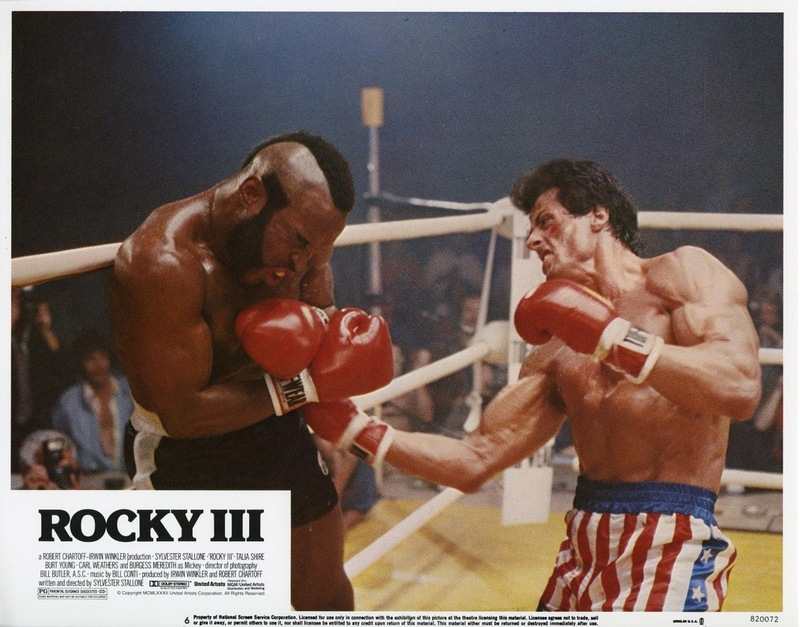 Rocky III was the first in the series made in the 80s and its very much a product of its time. 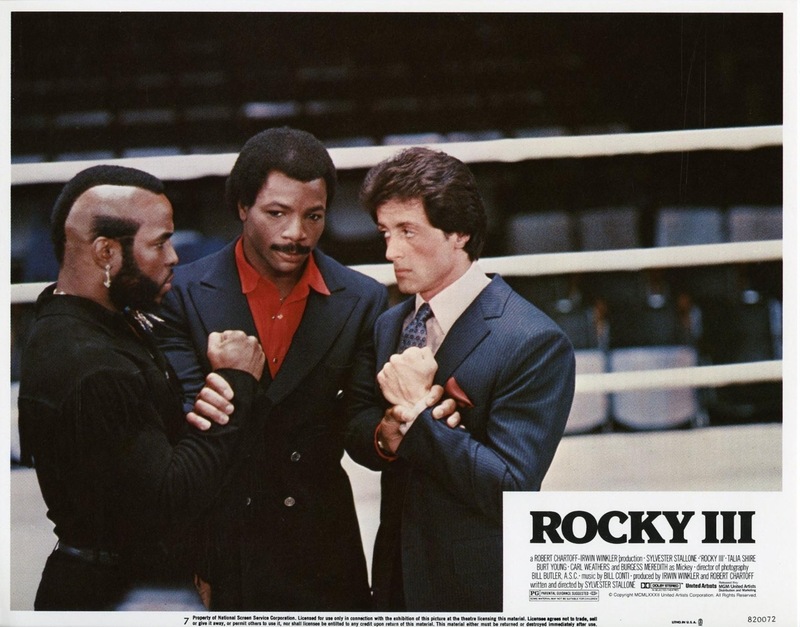 The 70s and 80s were my favorite era in film and as great as the 80s were some films were overly cheesy and Rocky III falls somewhere in the middle. Like I said the series sort of went in a new direction and while many elements from the first two are still present it also sort of feels like the start of a new series. Even though I didn’t love this film as much as the first two I do however think Sly made the right choice but mixing up the formula and while Rocky III doesn’t feel fresh it also doesn’t feel like a rehash either. 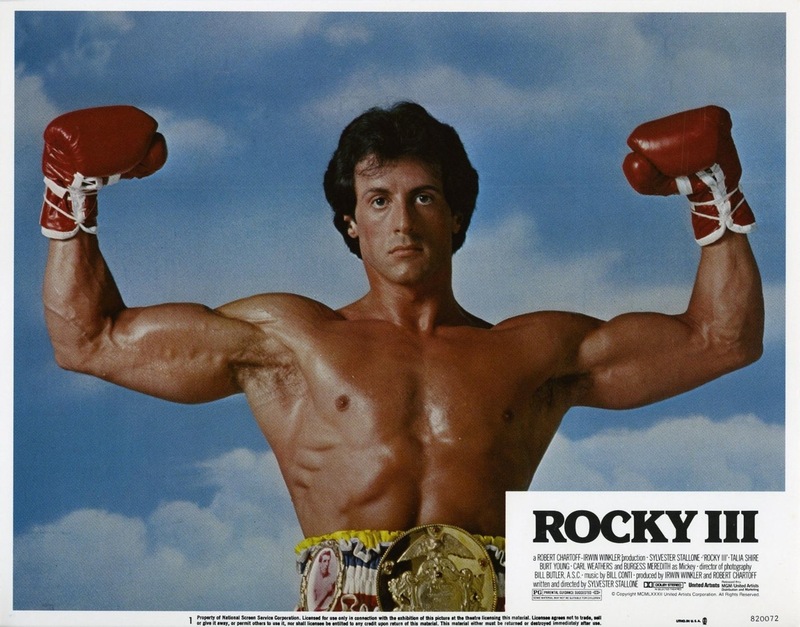 After winning the heavyweight title Rocky (Stallone) is at the height of his popularity as he appears on magazines, TV and even has a statue built in his honor and has had several successful title defenses. Clubber Lang (Mr. T) an up and coming challenger winning fight after fight calls out Rocky and a match is set up. However Rocky doesn’t take it serious and is unfocused while training as Clubber puts himself through tough training sessions. Clubber knocks out Rocky and making matters worse Mickey (Meredith) passes away. Rocky now hits rock bottom and loses all faith in himself and former foe Apollo Creed (Weathers) reaches out to Rocky to try and help him win back his title and respect. The screenplay by Stallone is well written, but never as strong as the first two. This part started the villain aspect to the series. Some labeled Apollo a villain, but I really don’t see where people got that. He was arrogant and brash, but never unlikable. 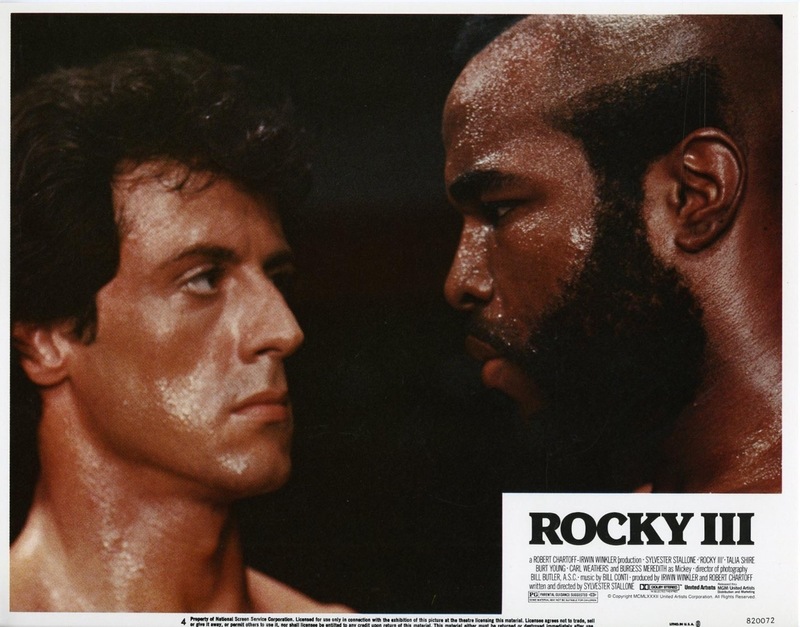 Clubber Lang however is very much the villain and Mr. T quite imposing. 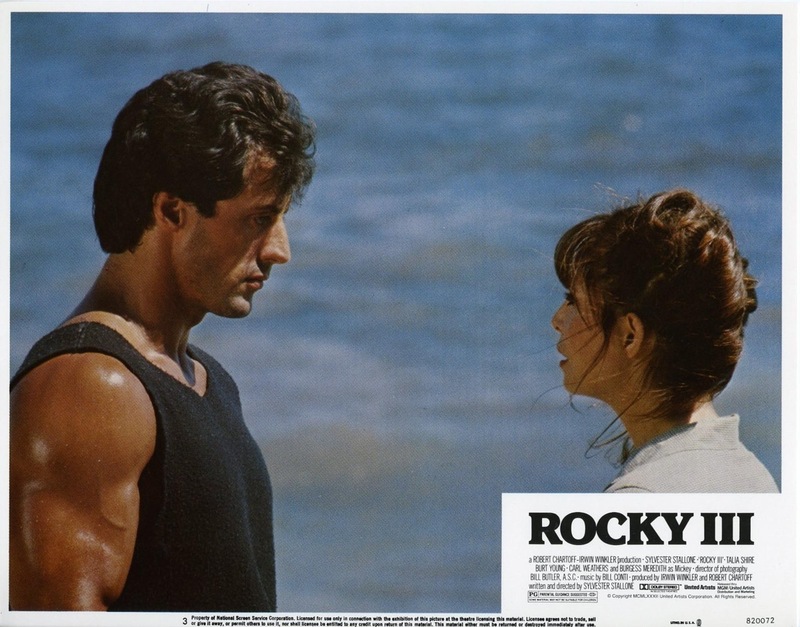 What I love about the script (and all the Rocky films for that matter) is the characters continue to be developed. With the popularity of the series, Sly simply could have taken the easy way out and just rehash the past two, but he does continue to develop all the characters. Rocky seems a bit more educated here and we see the other side of Apollo. Adrian (Shire) also is a bit different as she seems far more confident in herself. Stallone in my opinion is very underrated as a writer and people forget he is an Oscar nominated writer. He knows what his audience wants and for the most part with Rocky III he delivers. This may not be Oscar worthy like the original and sure the story is starting to running thin and at times certain parts of the script a little forced, but Stallone the great writer he is still manages to deliver an overall well written script. Like how I find Stallone an underrated writer he’s also an underrated director. Stallone to me is a great director because he’s a guy that knows exactly what his fans want. 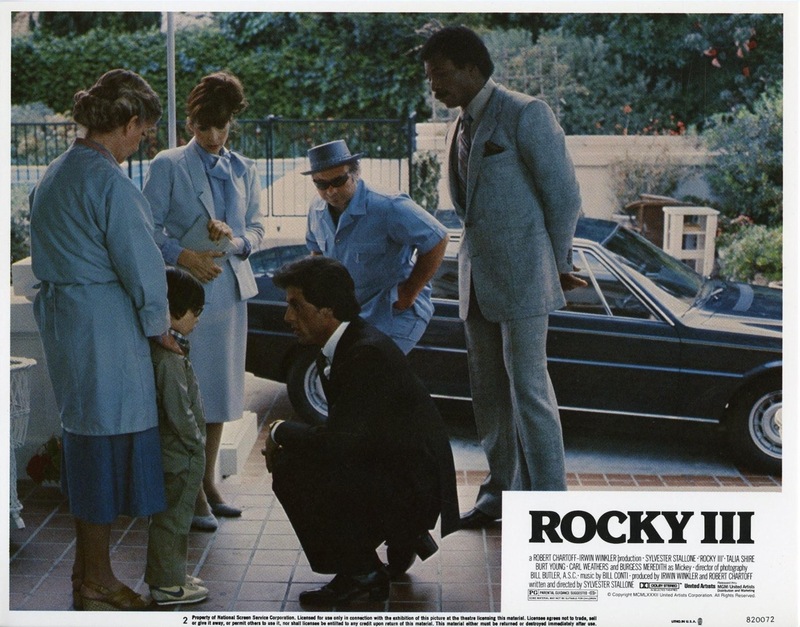 While Rocky III can be a bit silly in spots (the wrestling match) and perhaps even a bit sappy in spots as well, Sly delivers a fun and fast paced film. Running at 99-minutes Rocky III never outstays its welcome. This isn’t Stallone’s best directed film (Rocky Balboa & Rambo are in my opinion), but Stallone still does a solid job. Like I said the film can be a bit silly and sappy, but never lacks in the fun factor. Rocky III isn’t gonna go down as a masterfully directed film, but when all is said and done Stallone gets it done. Quite honestly I also find Stallone underrated as an actor. He was nominated for best actor for Rocky and for very good reason. As his career went on sure his performances weren’t all great, but in such films as Rocky and First Blood Stallone was excellent. Here in Rocky III I personally found this his weakest performance in the series, but he was still pretty good. Mr. T by all accounts is a very nice guy and he’s got that smile that can light up a room its so warm and friendly, but as Clubber Lang nothing is nice about him and he’s very imposing. However its Burt Young as Paulie that steals the show. Young is hysterical as Paulie and while he could at times be a jerk in the first two, its Rocky III when he becomes lovable. Overall Rocky III is a fun film and while I do enjoy it I do again feel this one was the weakest. Stallone created such great characters and that in part makes up for some of the flaws. Rocky III does sort of lack a lot of what made the original so great, but when all is said and done Rocky III is an entertaining film nothing less and nothing more.